You’re no longer students – you are alumni! 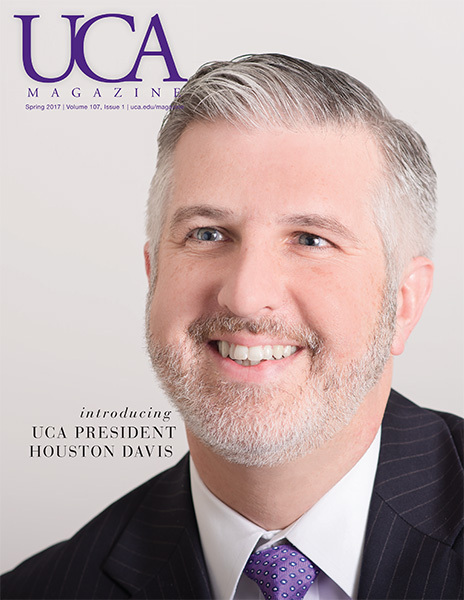 Keep in touch with your alma mater through the UCA Alumni Association. We invite you to sign up for your New Graduate membership today! For only $15 you are entitled to all benefits of membership. Mark your experience at UCA with a personalized brick on the Legacy Walk. All graduates are invited to become a part of history by adding his or her name to the walk at the amphitheater. Family and friends can also purchase one for a loved one. Bricks are $100 each. Each light gray brick is 4×8 inches.